CrossFit Kids recommencing at CrossFit Brisbane November 2nd! 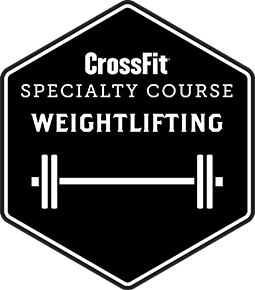 Kick start your child’s love of CrossFit with a 6 week program at CrossFit Brisbane from 2nd Nov – 11th Dec. 2015. Our CrossFit Kids program is for Primary School Children. Family discount for additional children is 10% with one full fee paying sibling. Please contact Wendy with an expression of interest and to secure your child’s place. Information on Holiday programs and additional Age programs will be coming soon. Please contact Wendy (wendy@crossfitbrisbane.com) if you would like further information on these programs. CrossFit Brisbane Team Series 2015 from CrossFit Brisbane on Vimeo.